That is the sound of Semana Santa, “holy week,” in Taxco de Alarcon, Guerrero, Mexico — a spectacle like no other. 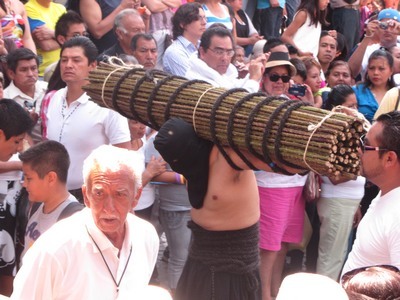 Probably one of the most revered of all celebrations in Mexico, Semana Santa, like many Mexican celebrations incorporates elements of pre-Hispanic cultures with Catholic traditions. Starting on Palm Sunday, the Sunday before Easter, with the traditional blessing of the palms, most houses, shops, taxis, and combis are adorned with woven palm frond crosses and other designs. For days ahead of time, indigenous people sit in the shade of church domes and on the side of the calles, weaving simple and intricate patterns in the stiff grass. The streets, especially the main cobblestone calle that winds through town and past my house, are filled with the devout, proudly parading their church icons to the zocolo downtown. With its 1500s colonial period whitewashed walls, red tile roofs, and cobblestone streets, Taxco has the atmosphere of a medieval fair, minus the castle walls, with makeshift silver shops, souvenir and food stands popping up everywhere there is an empty room or a few feet of space. Every night there is a procession or more than one. Don’t even think of heading downtown unless you are willing to walk the miles jostled by the crowd — no vehicles of any kind are allowed, not even taxis or combis. On Monday, it is the procession of the virgins. Every church for miles, and there are a lot of them, bring their statutes to town and hand carry them on a bier, the mile or so from the edge of town to the center. The icon bearers are surrounded by candle holders, incense bearers, little children dressed as angels, girls dressed in white (think communion outfits), and a host of other helpers. And let’s not forget those drummers and the occasional fiddler playing a tune that sounds oddly Celtic. The groups seem to be spaced out about every 30-40 minutes, so with my bedroom facing the action, just about the time I think it is safe to go to sleep, down the street another group comes with its boom, boom, boom cadence. Tuesday, the observances that have been happening throughout the Lenten period, take on special significance. The street is quiet, but the churches are alive with people and their traditions of the season. Wednesday, there is a special mass representing the disciples abandonment of Jesus and a procession of “lesser saints” — Cecelia, Joseph, and others are paraded through town. Then, Maunday Thursday arrives and it is chaos everywhere, in preparation for the biggest procession of all. Starting about 1 pm the contingents from out of town arrive. Cars, open pickup trucks, and huge dump trucks, filled with parishioners hooting and hollering, roll into town honking that same solemn cadence. There was even a group on motorcycles and sometimes groups come on horseback or bicycle. People line the streets and throw buckets of water on the people in the trucks. The opposite of an American parade where the people in the vehicles throw candy to the spectators. The night culminates with the most solemn procession of all — that of the penitents. Dressed in black robes, a horse hair belt, and their faces covered by a hood to conceal their identity, they gather along with their own entourage of young children dressed as angels, older girls barefoot and dressed in white dresses and veils, and an assortment of assistants. Of course, their patron saint is carried along for blessing. 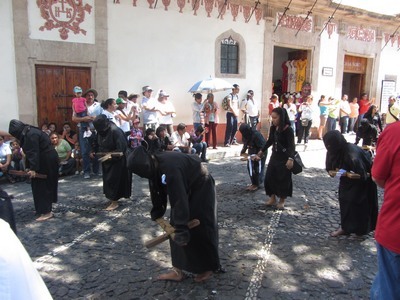 Taxco appears to be one of the last remaining places where the three brotherhoods, the Animas (or Bent Ones), the Encruzados (the crossed), and the Flagelantes (Flagellants) reenact events from Jesus’ last day on earth in such a strict fashion. The Bent Ones, walk bent over with chains around their ankles and candles or small crosses in their hands. This being the only group that accepts women, you will often see a nunnery of penitents walking as a group. The Flagelantes carry a rosary and a 6-7 foot wooden cross, representative of Jesus’ final walk to Gogotha. When the procession stops, they hand off their cross, kneel, and whip their bare backs causing blood to flow. Most gruesome. Then, there are the Encruzados who carry rolls of blackberry thorns, weighing up to 100 pounds, across their back and shoulders on outstretched arms (some sort of variation of the crown of thorns?) they might also carry a cross, rosary or candles in their hands. On Good Friday,in the gold adorned Santa Prisca church, the praying statue of Jesus is mock captured, jailed, and crucified before the penitents. This is followed by another procession. Saturday night they hold a candlelight vigil until midnight when it is announced that Christ has risen and then all is quiet. A native told me, the first year I was here, that I had to “see the show” at least once. I have to say this much, it is an interesting show even if it keeps me awake all night most of the week. Since I have a little computer issue I am going to link you to slide show from last year. Sorry I have not been around the last few weeks. It is a long story but I will try to make it short. A friend, who works with computers and is trained as a tech, came over and could not get it to work either. Finally I had no option but to go without until I got back to the States 6 weeks or so later of to take it to a computer repair person. Now having a computer failure in the States where I speak the same language (well sort of) is difficult enough but trying to explain the situation in a language you barely speak is another thing altogether. 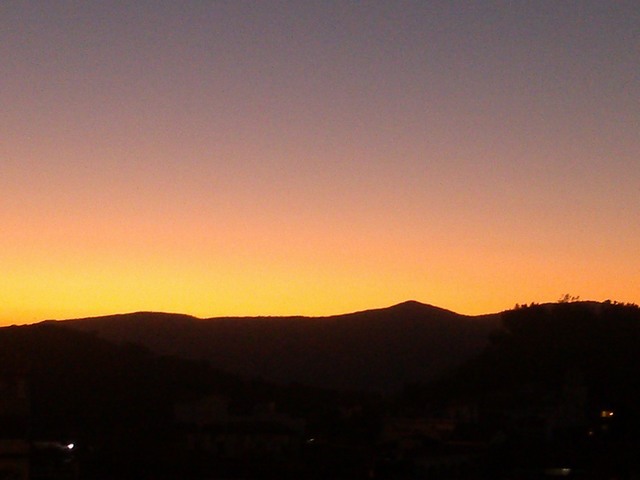 Even my tech friend did not recommend I go anywhere in Taxco. Thank goodness for the father of my English students, a successful business man about town, who knew a skilled repair person and was willing to act as my translator. To make a long story short, the hard drive failed. 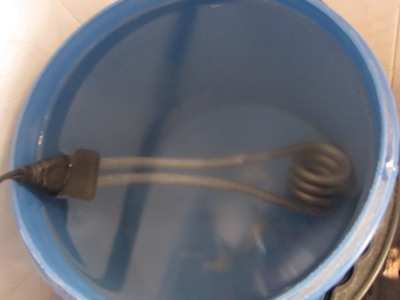 We were able to retrieve my data. Whew! I had just moved all my photos over to the computer to save space on my phone and make it faster and had run out of time to back it up. That could have been a disaster. Lesson learned, the hard way. I now have a new hard drive but being in Mexico I have a Spanish version of my operating system (which is not the same) AND more challenging yet, an unfamiliar Web browser and Windows Office in Spanish. 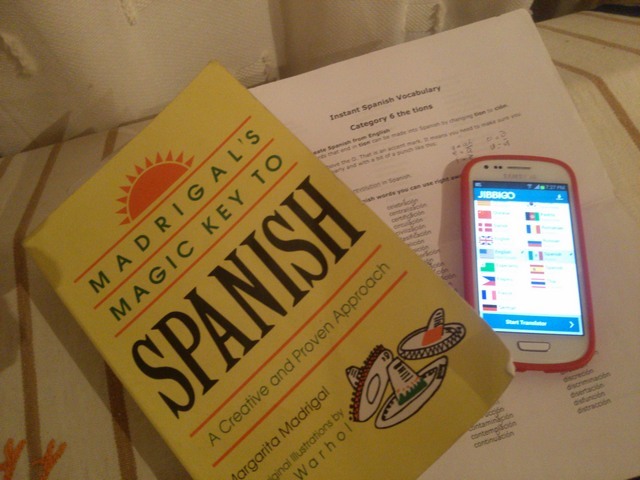 Did I say, I don’t speak much Spanish? The worst part of the situation is that I lost all my programs. So for the time being I am somewhat limited, especially in the adding photos to my Blog department. I am working on solutions that are accessible from here without the program CDs or proof of purchase documentation. Please bear with me. You know, the concept of going paperless sounds great until something like this happens! And there is only so much you can do on/from a smart phone. Do you have and electronic nightmare you wish to share? 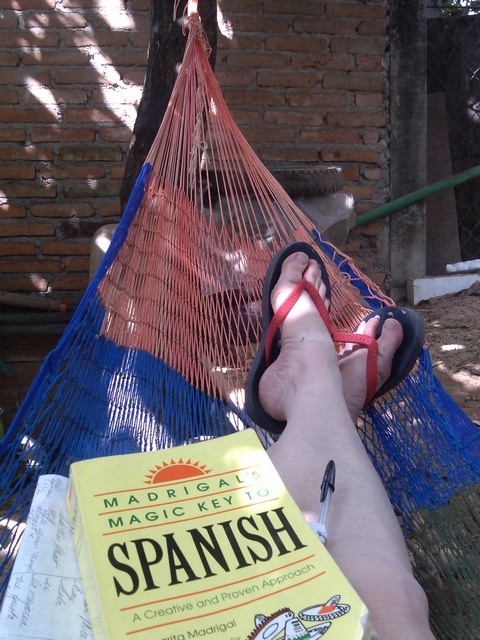 Early on an acquaintance said, “You don’t speak much (Spanish) but what you do, you speak well.” A compliment and a curse. It is nice to know that I pronounce words well, but that leads to the impression in the listener that I also understand well and I don’t. As frustrated as I still feel, I guess I am making progress though. 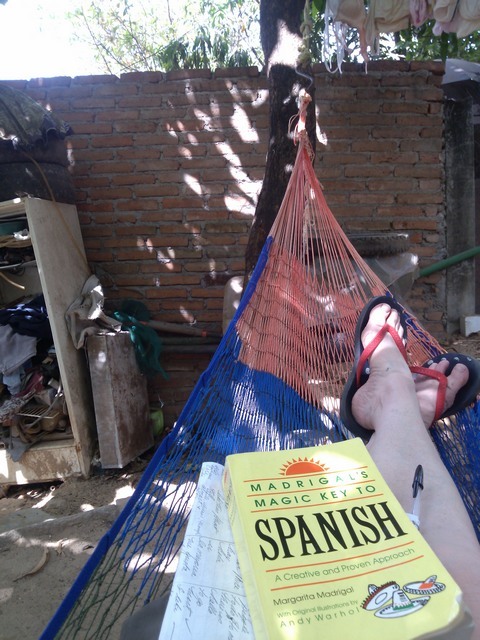 Not only did some people I haven’t seen in a few weeks comment that my Spanish is mucho mejor (much better) but I recently took a quiz in my book and, according to them, I am doing “superior work,” the very best. I still wish that translated into real conversation but all good things come those who wait, right? I will practice patience and hit the books some more. What’s red and white and green all over? 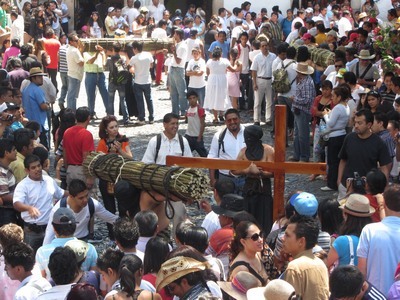 The period of Lent in Taxco is marked by many celebrations. Religious processions, bands, parades, and the ever present air works. 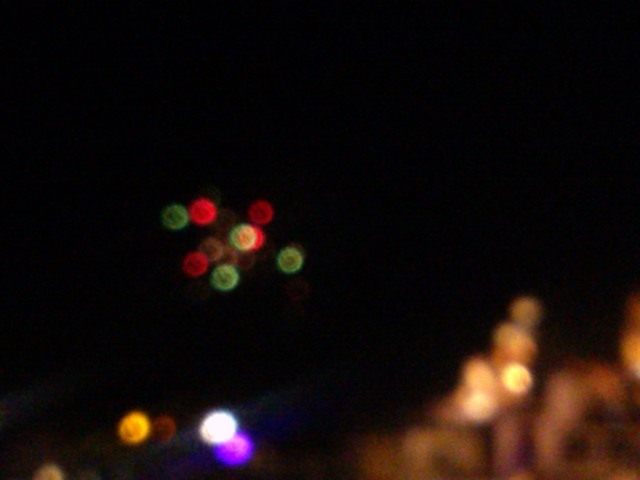 Tonight, though the real thing – fireworks – filled the sky. I like this soft fuzzy shot, don’t you? 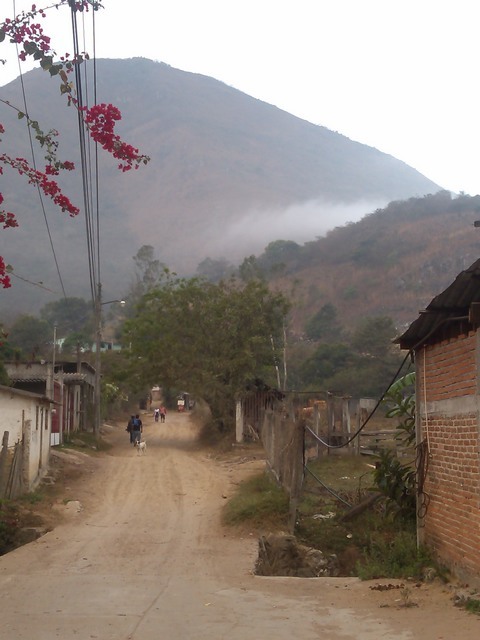 When visiting El Ocotito recently, my hostess wanted to take me for a walk (ir de pie) to a place outside of town where there was a lake. It was hot but carrying water and my parasol (not to be confused with my paragua, which are one and the same unless it is raining) I was up for the walk. Dipping my toes in a lake sounded MAHvelous!!! So we walked a few blocks to where the cement road ended and a dirt road began. 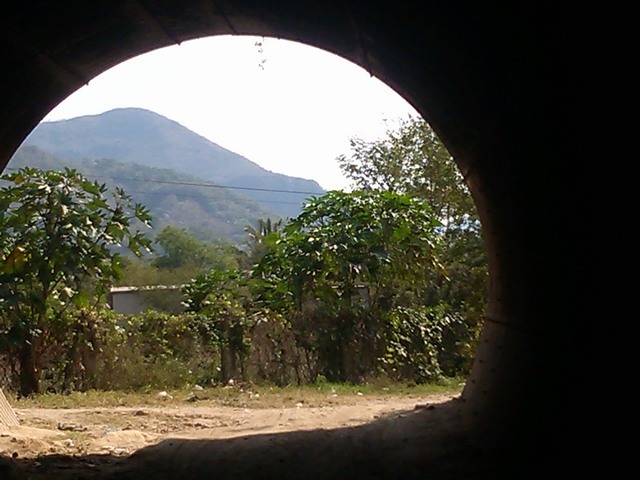 We walked through a tunnel under the autopista to Acapulco, which was filled with jumbled rocks and ruts, and came out the other side to what looked like a double walking path. While inside the tunnel, which was treacherous on foot, a car came bouncing along, scraping bottom every so often. Then a little further down the path, a walker in a hurry to get somewhere passed us by. Then we were met by a man on horseback, people with wheelbarrows and machetes, people on bicycles, and people herding livestock. Apparently this was a major thoroughfare from one town to another! Along the way we discovered a horse and foal in the field, a tamarind tree ripe for harvesting, people making adobe bricks which were drying in the sun, a young man harvesting sand from the river bottom, escaping goats, a spooked colt, and more. Take a peek below. 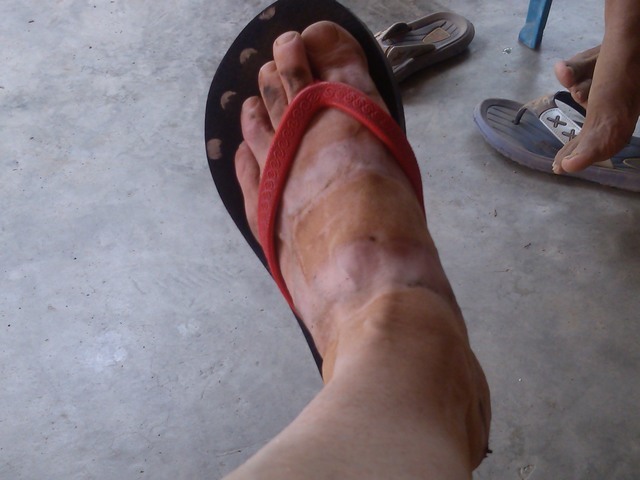 After we had walked a good ways, we came to an area that had a little water covering the road. We sat under a tree, drank water and rested, letting the breeze refresh us. When we arose, it was determined that we needed to return to the house. But what about the lake? Only after a long hot trek home did I find out that near the muddy spot on the road was where the lake used to be. It dried up and only the wet trickle that muddies the road and trickles into the neighboring field remains. As with many things Mexican, things are not always as they at first seem. I am not sure about the Southern Hemisphere (having never been there, yet anyway) but in the north, it seems that the closer you get to the equator the more laid back (or lax) the matter of time is. Now since I am an up north, Midwesterner, we pride ourselves on being punctual. If we say we will be somewhere at 10 am, we will likely be there at 10 minutes to 10 or maybe earlier. This is just not the case in Mexico. I have commented before about how you make plans with someone and it is considered well within social norms to be 20 minutes late, which is a bit annoying, or to not show up at all, which to me is inexcusable without at least a phone call. This is not a trait exclusive to Mexico, however, as I have experienced a similar lackadaisical attitude in the southern states and my cousin used to comment about giving programs in Hawaii where 5 people might be there at the beginning but a full house by the end. 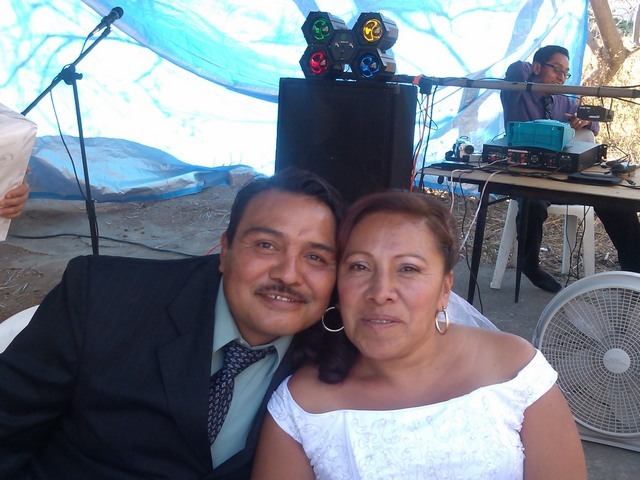 I was invited to una boda (a wedding) that was to start at 1 pm. Running a little late from a previous appointment, I rushed home to find my companion, who was supposed to be ready at noon, in the shower at 12:30. Finally ready at 12:45, we hurried out the door, waited and waited for a combi going to the right town, and finally arrived about 15 minutes late. It was really quiet as we approached the outdoor venue, and I assumed the ceremony had already started. Imagine my surprise when we came around the corner and the only people there were the DJ setting up the sound system, a hot, sweaty groom in a T-shirt, and a VW bug full of ladies (one the bride) backing out of the lot. My companion and I looked at each other and did the only reasonable thing, we sat down to await other guests or at least the bride and groom. And we waited and waited and waited. I burst out laughing. 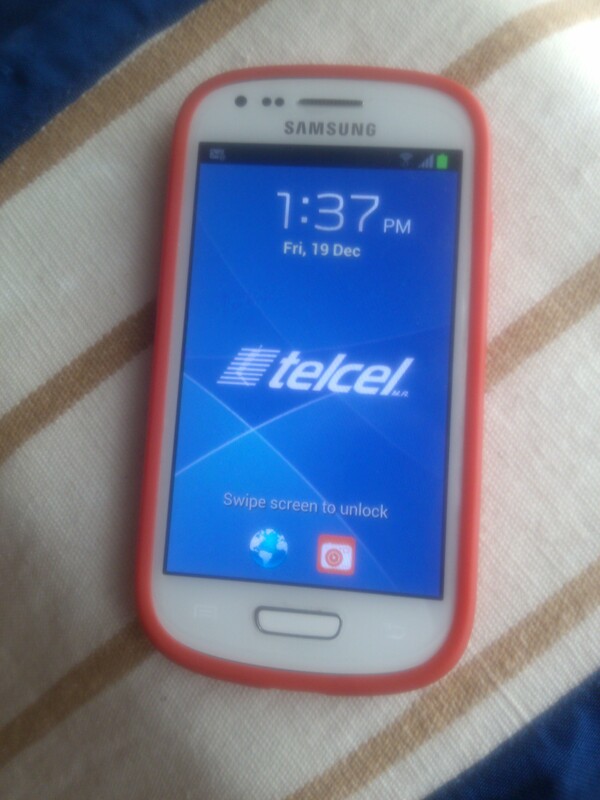 It is one thing for me to think that, quite another for a Mexican to admit it. And, about 2:30 the bride appeared with a large group of family and witnesses tagging along behind. They all sat down around a table with the local justice, answered all the legal questions, which 2 sets of parents and at least 4 witnesses on each side (some of whom had to be rounded up) affirmed. After they all signed their names (a process in itself), it was about 3 pm and more people had started to arrive. The judge got up, asked the “Do you…”s and received the “I do”s and presented the bride and groom to the now modest sized crowd. 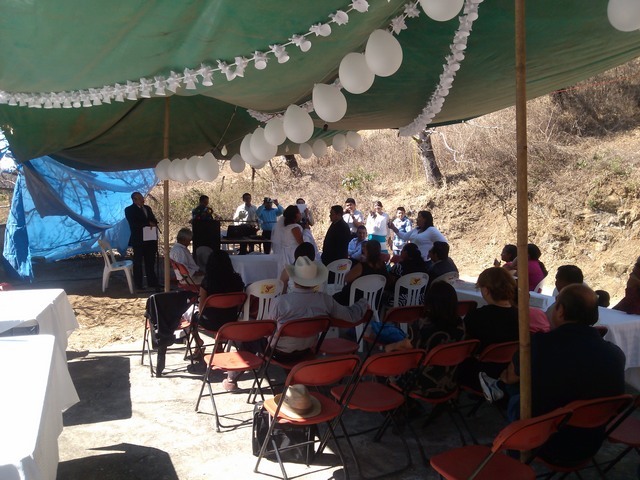 In Mexico, as in many countries, a religious ceremony does not qualify as legally binding, thus the couple is married by a civil magistrate at the courthouse or in person at the wedding site, and if they want a religious ceremony it follows or is held on a subsequent day. In this case, as the civil ceremony came to a close, the majority of the guests began to arrive to witness the religious ceremony. Now how they knew to come 2 1/2 hours late, I do not know!!!! 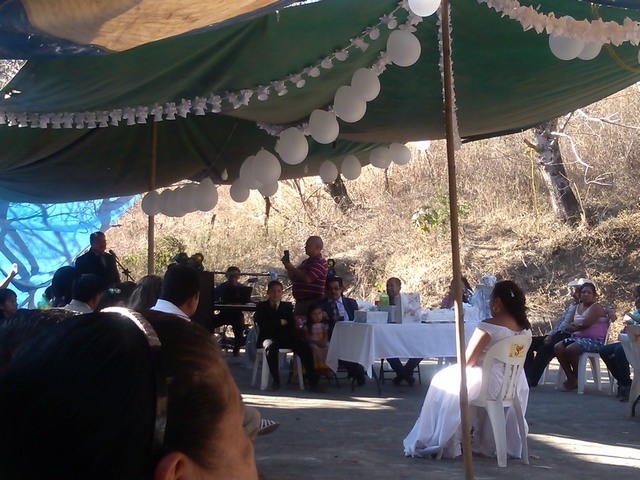 The rest of la boda was pretty similar to a wedding back home. 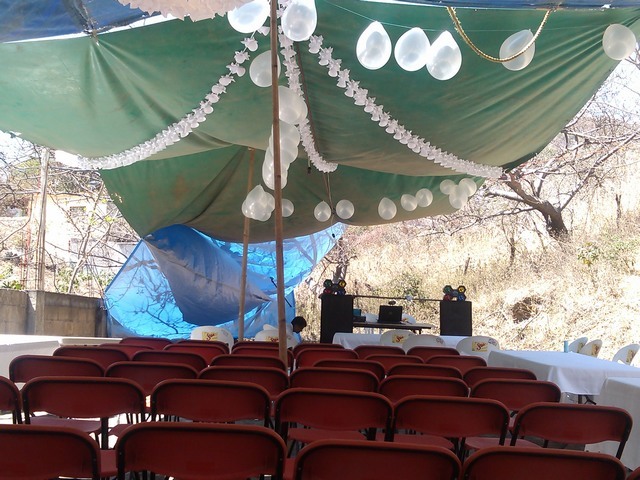 The chairs were moved, tables set in place and everyone ate a typical meal of fire roasted pork, beans, a salad, and of course salsa (which was homemade, fresh, and particularly yummy), along with wedding cake. After everyone ate their fill, the tables and chairs were moved to the sides to be ready for the dancing to begin. But before anyone danced, the groom sang a love song to his bride. A very sweet touch. They of course danced the first dance, their children joined them, then family and friends. I had to leave early for an English class in town (this was a Monday after all) just as the party was really getting started. One thing I can say — Mexicans may start late but they love to dance and the party lasts and lasts. Best wishes Cesar and Jeli!